So, using pebbles to create simple and minimal framed compositions somehow carries a bit of this magic! And, I say this because when I found this triangle-shaped pebble in a beautiful beach of Halkidiki in northern Greece, I knew that it was definitely the tail of a fish relic and it was a matter of time for me to find the rest of its "body"!!! Around there, the rest of its pieces were hidden!!! 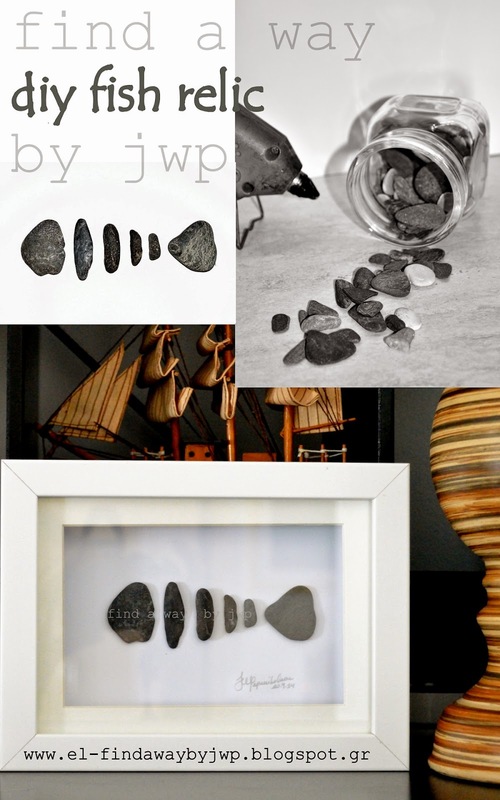 The way to make simple creations of pebble art has one important and unique material... imagination!!! 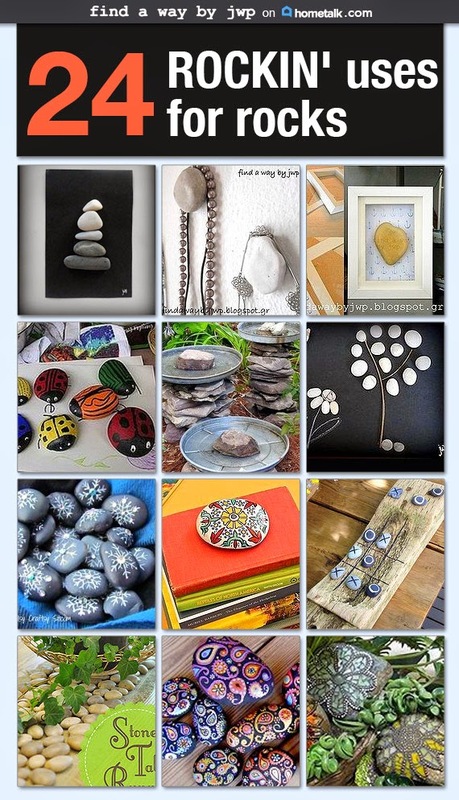 The rest are easy: a shadow box frame, a piece of cardboard, hot glue, silicon gun and, of course, beautiful pebbles... You can discover many other easy, but impressive, DIY ideas with pebbles and rocks in my "Pebbles and Rocks" board on Hometalk. Dimitra Decorasylum 24 Σεπ 2014, 1:11:00 μ.μ. Zina Z 24 Σεπ 2014, 4:24:00 μ.μ. Ιωάννα μου εκπληκτικό το ψαράκι!!!!! Είναι εκπληκτικό οντως να συνδυάζεις απλα πραγματα και να δημιουργίες κάτι που να φαίνεται περιπλοκο και τόσο ομορφο! Εύγε!!!! Eleana-My Home My Memories 24 Σεπ 2014, 5:27:00 μ.μ. Tante Mali 25 Σεπ 2014, 3:16:00 μ.μ. Sooo cute, what a lovely work! Have to look for small stones out there!